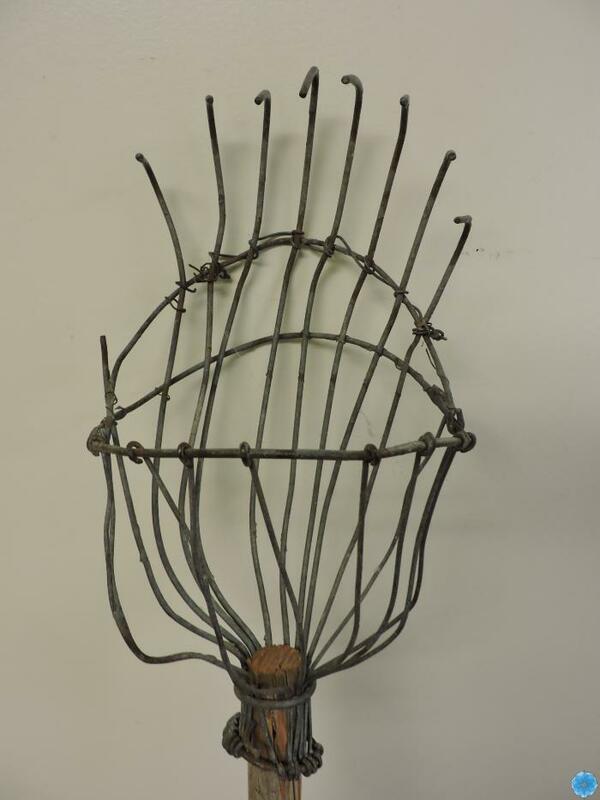 Description: Metal wire shaped basket with long finger-like metal prongs that are curved at the end. Long pole attached. History of Use: Used to pick fruit from trees, in this case, apples.